The “Road Trip” page is where the reader will find photographs from railfan outings taken over the years. In the 1950s Columbus Model Railroad Club and Ohio Railway Museum members would visit the remnants of rapidly disappearing traction lines like the Marion Reserve Power Company, Ohio Midland Power & Light and Toledo & Eastern freight lines. On the steam railroad front the rapid conversion to diesel and loss of passenger trains warranted attention. For out of state visits the Waterloo Cedar Rapids and Northern interurban line, the Chicago interurbans and the Denver and Rio Grande narrow gauge were especially popular. In the late 1970s and 1980s the disappearance of Central Ohio railroad structures such as depots, shops, interlocking towers and even switching yards brought railfans with their cameras before it was too late. The railfan photo essays are found on the left. If It Has Two Rails It's Good! On a mild December day in 1957 four stalwarts from the Ohio Railway Museum travelled to northern Ohio and came upon this backyard traction line on the south side of Lorain. 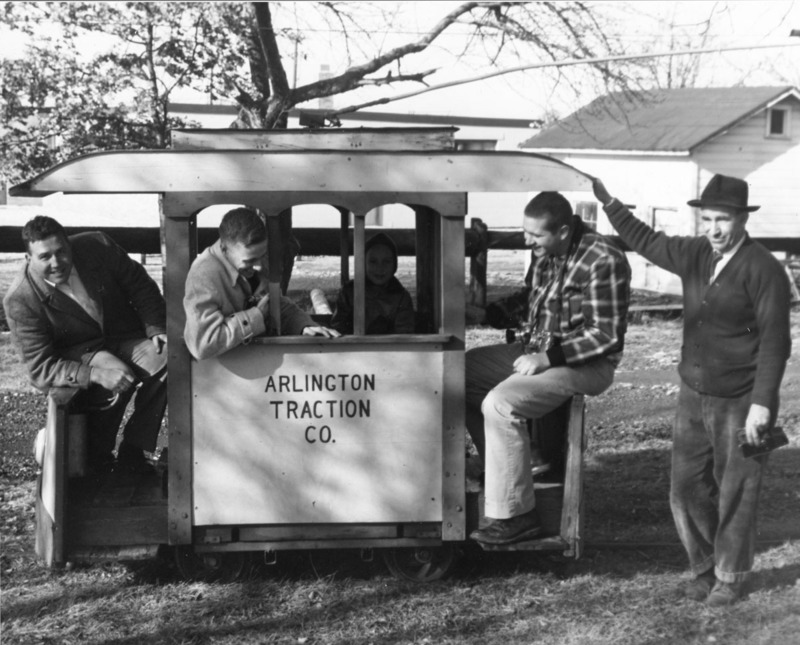 The owner Norm Muellers is on the right with possibly his grandson or one of the neighborhood kids sitting in the trolley. The ORM visitors are left to right George Silcott, Rodney Macken and Dave Bunge with Alex Campbell behind the camera. Also on the property was Cleveland Transit System streetcar No. 4144. Unfortunately the Peter-Witt style streetcar hasn't survived. It was scrapped many years ago. Word to the wise – don’t reach for the trolley wire.